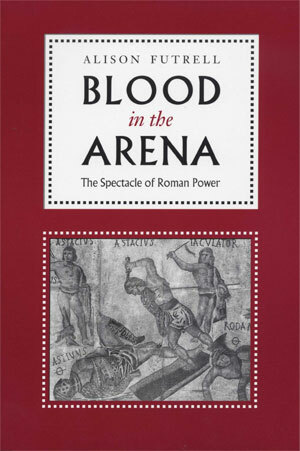 "Blood and Power: Arena Spectacle and the Roman Empire"
The popular image of Rome puts the arena at center stage. From Ben-Hur to Gladiator, our mental images of Rome center on the arena and the violent spectacles it housed; like the luxurious bath-houses, the banquets and the orgies, the blood games are central to the popular perception of Rome as devoted to sophisticated luxury, to personal pleasures, and as doomed by its decadence. The Roman world devoted an overwhelming amount of time, energy, money and attention to the arena: politicians bankrupted themselves to provide games, towns gave over huge amounts of public space and public funds for the construction of amphitheaters. The legions of Rome built amphitheaters alongside their basic barracks, while Romano-Celtic villagers constructed lavish arena complexes out in the middle of rural Gaul. The arena was central to ancient Rome, not because it was entertainment, but because in many ways the arena replicated the essence of the Roman Empire, providing a venue for the establishment of power relations, a sanctuary where ritualized combat resolved cosmic tensions, and a stage for blood-drenched demonstrations of Roman moral strength. This talk explores monuments of the arena and their meanings, with special concentration on the amphitheaters of the western provinces. Alison Futrell is Associate Professor of Roman History with the University Arizona, and received her undergraduate degree from the University of Utah (B.S. in Anthropology), and the University of California at Berkeley (M.A. and Ph.D. in Ancient History and Mediterranean Archaeology). Her research is guided by her interest in the symbols and rituals of power in the Roman Empire, with particular focus on the deployment of gender and material culture in imperial politics. 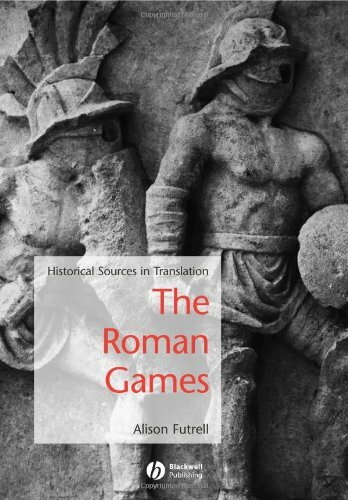 Her first monograph, Blood in the Arena, looks at how the institution of the gladiatorial games functioned in the negotiation of power among different groups in the Roman Imperial West. 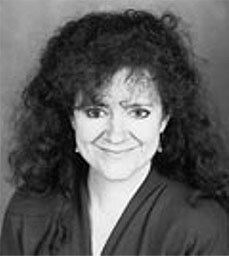 She has appeared as a talking head on a number of documentaries for the History Channel and A & E, including "Hannibal", "The True Story of Gladiators", "Cleopatra's World: Alexandria Revealed," and, most recently, "Boudica: Warrior Queen".